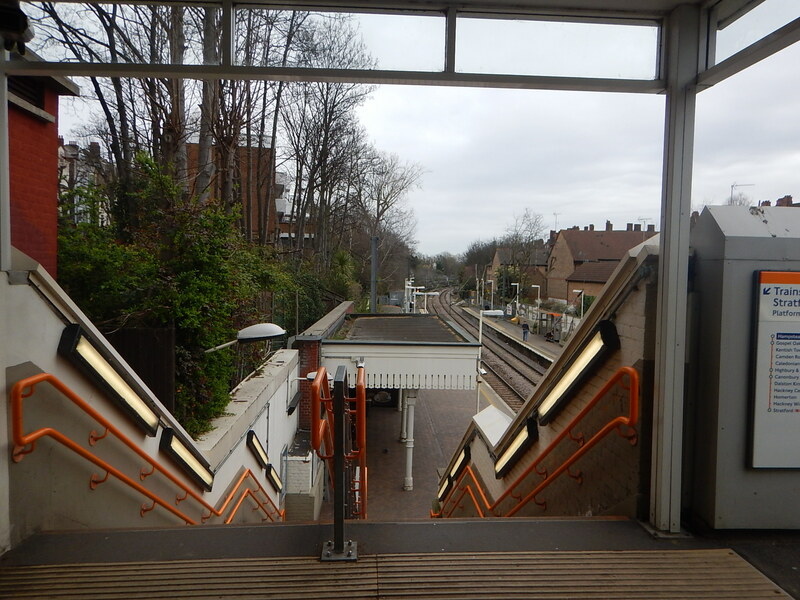 Some of London’s stations have stairs down to the platforms as this picture taken at Hampstead Heath station on the North London Line shows. Hampstead Heath is a fully-rebuilt station. Each platform has a set of stairs and a lift. The stairs are also divided into two by a central double handrail. Transport for London have posters everywhere, that say that passengers shouldn’t rush and to hold the handrail. But accidents do happen, as I witnessed a few days ago at Manor House station. So would it be safer, if at the top of the stairs, there was a display showing how long it was to the next couple of trains? It might just encourage people to slow down, if they knew they had eight minutes before the next train, or it wasn’t for their destination. In an ideal world, it would surely show at least the next two trains with times. The new displays on Thameslink and at London Bridge already show three trains and they are just video screens, which must be easier to drive. I also think that we need more displays on platforms. Often, there is only one display at one end. On a line where there are more than one service, more comprehensive displays might actually speed boarding. I always remember a story, where everybody was complaining about the long wait for a lift in an office block. Someone had the idea to put a mirror in the lift lobby and the complaints dropped.